Cris Worley Fine Arts is pleased to announce Houston-based painter, Howard Sherman’s, List of demands will open Saturday, September 8th with an artist’s reception from 6pm-8pm. The exhibition opening will coincide with the Grand Opening of our new exhibition space located at 1415 Slocum Street, Suite 104. 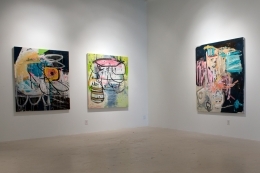 Sherman is known for his large-scale acrylic and marker canvases as well as his smaller works on paper, all of which have a cartoon and graffiti-like theme reminiscent of neo-expressionist work from the 1980s. 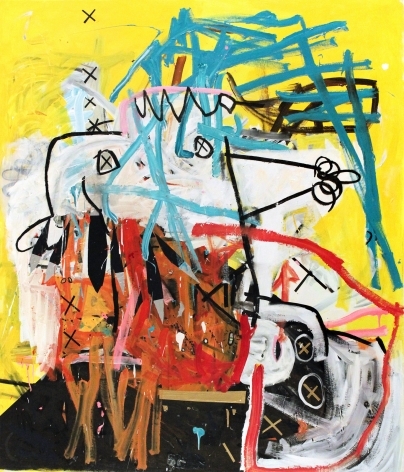 While, in fact, Basquiat is one of his influences, Sherman’s bright and chaotic paintings employ painterly techniques such as trompe l’oeil to detach themselves from the purposeful crudeness found in his predecessor’s work. Sherman’s work is concurrently disturbing and funny, both dark and light as he creates a commentary on today’s chaotic world. The monstrous yet comic figures that dominate many of Sherman’s canvases spawn from his past as a syndicated and award winning comic strip artist. 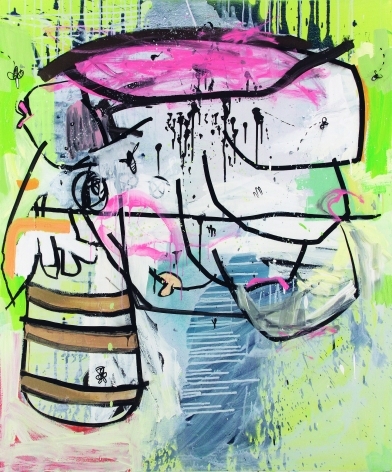 While acrylic is his main medium, Sherman has said that the use of marker, the medium of comic strips, is extremely important to the success of each work. 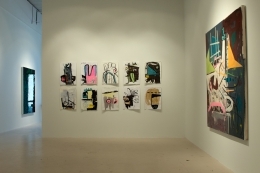 With marker, he is able to go back and flesh out any areas in his compositions that need it and this, again, lends to the comic feel of each piece. 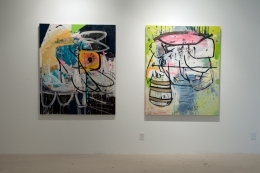 This latest body of work breaks from earlier compositions by honing in on an object or character instead of focusing on creating all-over abstraction. Howard Sherman received is BFA from the University of Texas in 1993 and went on to receive an MFA in Painting and Drawing in 2006 from the University of North Texas. 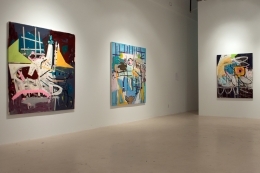 He participates regularly in artist in residency programs, most recently, at the Virginia Center for the Creative Arts and the Helene Wurlitzer Foundation. 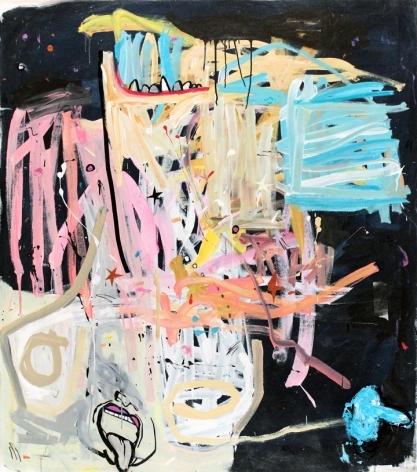 Thrice, Sherman has been chosen for publication in New American Paintings and he is also included in Catherine Anspon’s Texas Artists Today published in 2010. 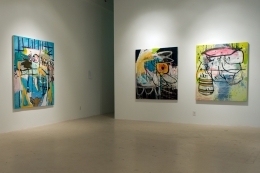 Sherman has received many awards and accolades and, in 2011, was a Hunting Art Prize finalist.